Thanks to the generous funding of the John D. and Catherine T. MacArthur Foundation, this is the project’s seventh annual study on organized crime and violence in Mexico. As in previous years, this report compiles the latest available data and analysis to evaluate trends related to drug trafficking and organized crime in Mexico. This year’s report builds on past findings and seeks to provide new insights into Mexico’s recent security situation. 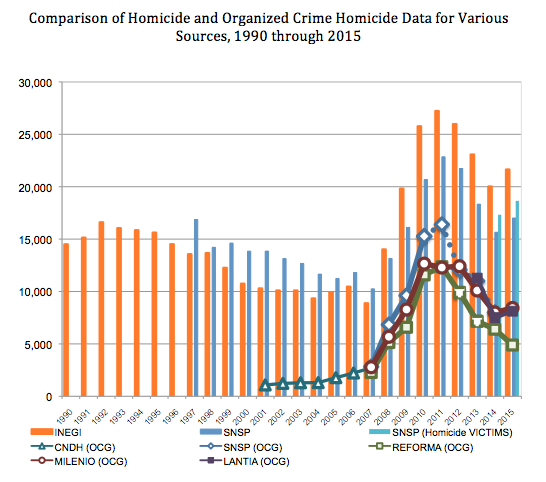 The authors draw on the latest available data from multiple sources, with a focus on the rise in organized crime-related homicides in Mexico that reverses a three-year declining trend, as well as the emergence of cartelitos—smaller, fragmented cartel branches—in Mexico’s shifting drug trafficking landscape, and the Peña Nieto administration’s missteps and tone-deaf responses in a series of human rights tragedies and scandals in recent years. In fact, President Enrique Peña Nieto (2012-2018) saw the public’s lowest approval rating and highest dissatisfaction rating not just for his first three years in office, but also surpassing that of his predecessors, Presidents Vicente Fox (2000-2006) and Felipe Calderón (2006-2012). Sources: INEGI, SNSP, Reforma, Milenio, Lantia, CNDH. United Nations Office on Drugs and Crime. 2013. 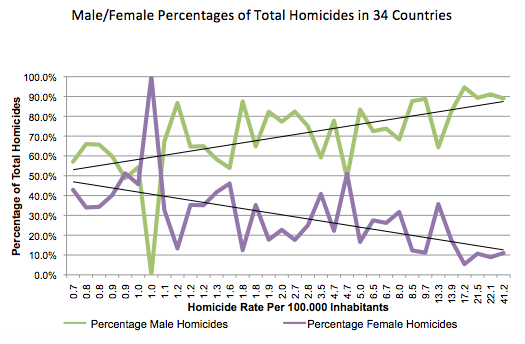 Global Study on Homicide 2013: Trends, Context, Data. Vienna: UNODC. 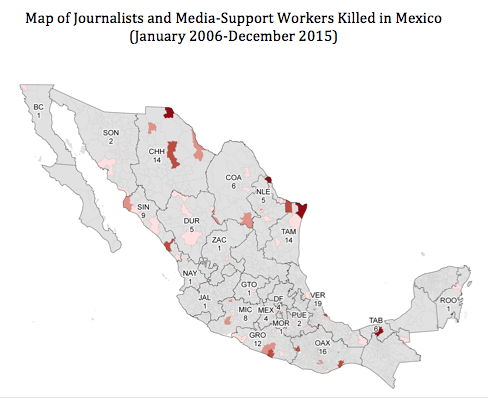 Source: Justice in Mexico Memoria dataset. Map generated by Theresa Firestine. Among the study’s most important findings is the increase in homicides in Mexico in 2015, up 8.1-8.7% from the number of homicides registered in 2014. 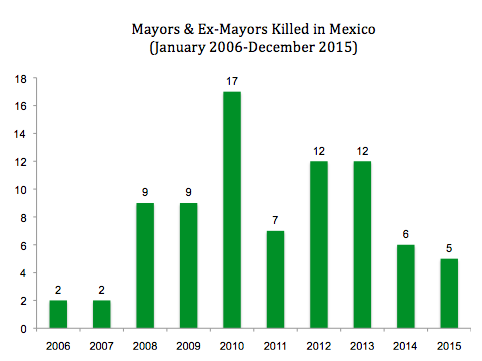 The authors also found that between a quarter and a half of all homicides in Mexico in 2015 were attributed to organized crime groups. Meanwhile, there were increases in cases of intentional homicides registered in all but a handful of states, with the highest increase in Guerrero jumping from 1,514 cases in 2014 to 2,016 cases in 2015. 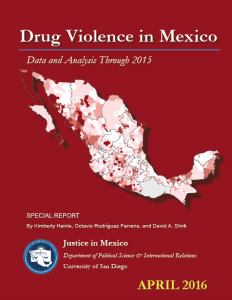 “Drug Violence in Mexico: Data and Analysis Through 2015” was co-authored by Kimberly Heinle, Octavio Rodríguez Ferreira, and David A. Shirk.